For the ice hockey player, see Ken Strong (ice hockey). Elmer Kenneth Strong (April 21, 1906 – October 5, 1979) was an American football halfback and fullback who also played minor league baseball. Considered one of the greatest all-around players in the early decades of the game, he was inducted into the College Football Hall of Fame in 1957 and the Pro Football Hall of Fame in 1967 and was named to the NFL 1930s All-Decade Team. A native of West Haven, Connecticut, Strong played college baseball and football for the NYU Violets. In football, he led the country in scoring with 162 points in 1928, gained over 3,000 yards from scrimmage, and was a consensus first-team selection on the 1928 College Football All-America Team. NYU Violets is the nickname of the sports teams and other competitive teams at New York University. The school colors are purple and white. Although officially known as the Violets, the school mascot is a bobcat. The Violets compete as a member of NCAA Division III in the University Athletic Association conference. The university sponsors 23 varsity sports, as well as club teams and intramural sports. Strong played professional football in the National Football League (NFL) for the Staten Island Stapletons (1929–1932) and New York Giants (1933–1935, 1939, 1944–1947), and in the second American Football League for the New York Yankees (1936–1937). He led the NFL in scoring in 1934 and was selected as a first-team All-Pro in 1930, 1931, 1933, and 1934. He also played minor league baseball from 1929 to 1931, but his baseball career was cut short by a wrist injury. The Staten Island Stapletons also known as the Staten Island Stapes were a professional American football team founded in 1915 that played in the National Football League from 1929 to 1932. The team was based in the Stapleton section of Staten Island. They played under the shortened nickname the "Stapes" the final two seasons. Jack Shapiro, who was a blocking back for the Stapletons, was the shortest player in NFL history. The team was based in Staten Island, New York. The 1929 Staten Island Stapletons season was their inaugural season in the league. The team finished 3–4–3 and finished sixth in the league. Savin Rock is a section of West Haven, Connecticut. West Haven High School is a secondary school located in West Haven, Connecticut, which educates students in grades 9–12. The mascot of West Haven is the Blue Devil. 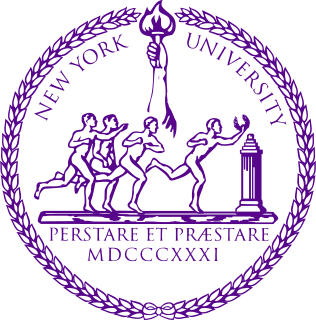 The 1928 NYU Violets football team represented New York University in the 1928 college football season. Ken Strong led the nation in scoring. The 1928 Carnegie Tech Tartans football team represented the Carnegie Institute of Technology—now known as Carnegie Mellon University—in the 1928 college football season. Henry Grantland Rice was an early 20th-century American sportswriter known for his elegant prose. His writing was published in newspapers around the country and broadcast on the radio. Strong's output dropped off in 1932 as he moved to the fullback position. He appeared in 11 games and ranked sixth in the NFL with 375 rushing yards, but scored only 15 points on two touchdowns and three extra points. At the end of the 1932 season, the Stapletons team folded. During the 1936 season, Strong earned a reputation as "the best blocker in the game." He also: kicked a field goal and two extra points in a 17–6 victory over Brooklyn on October 14; scored a touchdown and kicked the extra point in a 7–6 victory over Pittsburgh on October 21; and kicked three field goals in a 15–7 win over Cleveland on November 23. Prior to 1968, Strong's jersey number (No. 50) was retired by the New York Giants. He was among the first four Giants (along with Mel Hein, Y. A. Tittle and Al Blozis) to be so honored. On February 19, 1957 Strong made an appearance on the game show To Tell the Truth. He was contestant number 3 claiming to be Thomas P. Loughran, a former boxer. George Frederick Blanda was an American football quarterback and placekicker who played professionally in the American Football League (AFL) and National Football League (NFL). Blanda played 26 seasons of professional football, the most in the sport's history, and had scored more points than anyone in history at the time of his retirement. Blanda retired from pro football in 1976 as the oldest player to ever play at the age of 48. He was one of only two players to play in four different decades, and he holds the record for most extra points made (943) and attempted (959). During his career, he played under head coaches Bear Bryant, George Halas, and John Madden. Donald Montgomery Hutson was a professional American football player and assistant coach in the National Football League (NFL). He played as a split end and spent his entire eleven-year professional career with the Green Bay Packers. Under head coach Curly Lambeau, Hutson led the Packers to four NFL Championship Games, winning three: 1936, 1939, and 1944. Glenn Emery "Press" Presnell was an American football player, coach, and college athletics administrator. 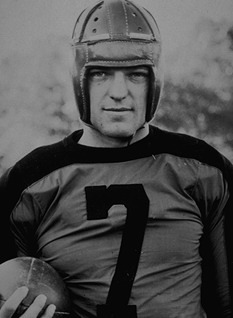 He set the NFL single-season scoring record in 1933 and led the league in total offense. He was the last surviving member of the Detroit Lions inaugural 1934 team and helped lead the team to its first NFL championship in 1935. He also set an NFL record with a 54-yard field goal in 1934, a record which was not broken for 19 years. Presnell served as the head football coach at the University of Nebraska–Lincoln in 1942 and at Eastern Kentucky State College—now known as Eastern Kentucky University–from 1954 to 1963, compiling a career college football coaching record of 45–56–3. He was also the athletic director at Eastern Kentucky from 1963 to 1971. Ewell Doak Walker II was an American football player. He played college football as a halfback at Southern Methodist University (SMU), where he won the Heisman Trophy in 1948. Walker then played professionally in the National Football League (NFL) with the Detroit Lions for six seasons, from 1950 to 1955. William Clarke Hinkle was an American football player. He played on offense as a fullback, defense as a linebacker, and special teams as a kicker and punter. He was elected to the Pro Football Hall of Fame as part of its second class of inductees in 1964. Wilbur Francis "Pete" Henry was an American football player, coach, and athletic administrator. He was a charter inductee into both the College Football Hall of Fame in 1951 and the Pro Football Hall of Fame in 1963. John Leo "Paddy" Driscoll was an American football and baseball player and football coach. A triple-threat man in football, he was regarded as the best drop kicker and one of the best overall players in the early years of the National Football League (NFL). He was inducted into the Pro Football Hall of Fame in 1965 and the College Football Hall of Fame in 1974. Stephen Carroll Gostkowski is an American football placekicker for the New England Patriots of the National Football League (NFL). He was drafted by the Patriots in the fourth round of the 2006 NFL Draft. One of just two kickers drafted, Gostkowski was the only rookie kicker to make an NFL roster that year. He has won three Super Bowls with the Patriots. 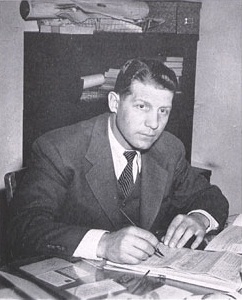 Kenneth William Kavanaugh was an American football player, coach, and scout. He played professionally in the National Football League (NFL) for the Chicago Bears as an end from 1940 to 1950, except for three seasons during which he served in World War II. He led the league in receiving touchdowns twice, and is a member of the NFL 1940s All-Decade Team. He is the Bears' all-time leader in receiving touchdowns, with 50. Robert Harold Walston was an American football wide receiver and placekicker in the NFL for the Philadelphia Eagles. He played college football at the University of Georgia and was drafted in the 14th round of the 1951 NFL Draft. From 1966 to 1967, he coached receivers and kickers for the Miami Dolphins. The 1950 Cleveland Browns season was the team's first in the National Football League (NFL) after playing the previous four years in the All-America Football Conference (AAFC), which folded after the 1949 season. The Browns finished the regular season with a 10–2 win–loss record and beat the Los Angeles Rams to win the NFL championship. It was Cleveland's fifth consecutive championship victory, the previous four having come in the AAFC. The 1934 Detroit Lions season was the fifth season in franchise history. It was the first season the team played in Detroit; the franchise had previously played as the Portsmouth Spartans in Portsmouth, Ohio, a city with a population of approximately 40,000. 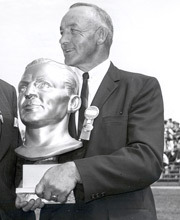 Under head coach Potsy Clark, the Lions won their first ten games before losing three straight games to end the season. 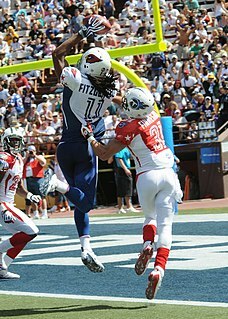 They finished in second place in the NFL Western Division behind the undefeated Chicago Bears. 1 2 3 4 5 6 7 8 9 10 11 12 13 14 15 16 17 "Ken Strong". Pro-Football-Reference.com. Sports Reference LLC. Retrieved October 4, 2017. 1 2 3 4 5 "Ken Strong, Ex-Star For Football Giants". The New York Times. October 6, 1979. ↑ 1920 U.S. Census entry for Elmer F. Strong (dairy inspector). Son Elmer K. Strong, age 13, born in Connecticut. Census Place: Orange, New Haven, Connecticut; Roll: T625_190; Page: 33A; Enumeration District: 415. Ancestry.com. 1920 United States Federal Census [database on-line]. 1 2 3 4 5 "A Football Giant and More: Strong Made Name As Two-Sport Star (part 2)". Hartford Courant . December 16, 1999. p. C7 – via Newspapers.com. 1 2 "Ken Strong, Jr". College Football Hall of Fame . Football Foundation. Retrieved October 4, 2017. ↑ Mark Purcell. "A Strong year at NYU" (PDF). College Football Historical Society. Retrieved October 4, 2017. ↑ "Football Award Winners" (PDF). National Collegiate Athletic Association (NCAA). 2016. p. 7. Retrieved October 4, 2017. 1 2 "A Football Giant and More: Strong Made Name As Two-Sport Star (part 1)". Hartford Courant . December 16, 1999. p. C1 – via Newspapers.com. 1 2 3 "Ken Strong Rated Greatest Player In Football History". The Baltimore Sun. September 6, 1939. p. 14 – via Newspapers.com. 1 2 "Ken Strong Bio". Pro Football Hall of Fame. Retrieved October 4, 2017. ↑ "Ken Strong Helps Stapleton Triumph". The Brooklyn Daily Eagle. October 7, 1929. p. 22 – via Newspapers.com. ↑ "Ken Strong's Sprint Features Tie Game". The Wilkes-Barre Record. November 4, 1929. p. 16 – via Newspapers.com. ↑ "Ken Strong Stars Again". Journal and Courier (IN). November 7, 1929. p. 16 – via Newspapers.com. ↑ "Stapleton Drubs Frankford, 21 to 0". The Indianapolis Star. September 29, 1930. p. 10 – via Newspapers.com. ↑ "Ken Strong Stars As Stapes Beat Giants". The Post-Crescent. December 22, 1930. p. 12 – via Newspapers.com. ↑ "Ken Strong Stars". The Courier-Journal. November 23, 1931. p. 7 – via Newspapers.com. ↑ "New York Defeats Bears; Wins Title". Green Bay Press-Gazette. December 10, 1934. p. 11 – via Newspapers.com. ↑ "Giants Keep First Place". Green Bay Press-Gazette. October 14, 1935. p. 13 – via Newspapers.com. ↑ "Giants Beat Bears, 3 to 0". Chicago Tribune. November 18, 1935. p. 21 – via Newspapers.com. ↑ "Detroit Whips New York, 26–7 in Pro Football Title Game". Chicago Tribune. December 16, 1935. p. 23 – via Newspapers.com. ↑ "Yankee Gridders Sign Strong". Democrat and Chronicle. August 22, 1936. p. 14 – via Newspapers.com. ↑ "Hall of Famer Ken Strong Recalls Trickery, Slim Pay of '34 NFL Playoff". Independent Press Telegram. p. S5 – via Newspapers.com. ↑ "Strong Rated Best Blocker". St. Louis Post-Dispatch. November 6, 1936. p. 26 – via Newspapers.com. ↑ "Ken Strong Quits Pros To Help NYU Coach". Williamsport (PA) Sun-Gazette. October 28, 1937. p. 6. ↑ "Strong Leads Jersey Giants Against Eagles". The Brooklyn Daily Eagle. October 15, 1938. p. 11 – via Newspapers.com. 1 2 3 4 Bob Gill (1988). "The Hidden Career Of Ken Strong" (PDF). Coffin Corner. Pro Football Researchers Association. ↑ "Jersey City Gains Title, Strong Star". The Philadelphia Inquirer. November 21, 1938. p. 17 – via Newspapers.com. ↑ Hogrogian, John (2000). "Twelve Interesting Things About The 1939 NFL Season" (PDF). Coffin Corner. Professional Football Researchers Association. 22 (3): 1–5. Archived from the original (PDF) on 2012-04-28. ↑ "Ken Strong Is Recovered Now From Illness". The Vidette Messenger. August 3, 1940. p. 6 – via Newspapers.com. 1 2 Harry Grayson (July 15, 1940). "Grayson's Scoreboard". Mount Carmel Item (NEA story). p. 5 – via Newspapers.com. ↑ "Ken Strong Planning Gridiron Retirement". The Courier-News (NJ). November 19, 1940. p. 13 – via Newspapers.com. ↑ "Ken Strong, 38, Most Valuable Of The Giants". Nevada State Journal. October 15, 1944. p. 11 – via Newspapers.com. ↑ "Ken Strong Leaves Giants After 25-Year Grid Career". Pittsburgh Post-Gazette. April 17, 1948. p. 10 – via Newspapers.com. ↑ "Former Cadet All-America Rates Ken Strong Outstanding Gridder". Reading Times. October 20, 1937. p. 16 – via Newspapers.com. 1 2 Harry Grayson (December 2, 1943). "Ken Strong Set Pro Records To Earn Place On All-Time Team". The Brownsville (TX) Herald (NEA story). p. 21 – via Newspapers.com. ↑ "Pro Football's Hall of Fame Is Announced". The Circleville (OH) Herald. August 3, 1950. p. 13 – via Newspapers.com. ↑ "Ken Strong named to grid hall of fame". Norwalk Hour. Connecticut. Associated Press. February 8, 1967. p. 24. ↑ "All-1930's NFL Team Selected". The Baltimore Sun. August 27, 1969. p. C5. ↑ "Ken Strong". NYU Athletics. Retrieved October 4, 2017. ↑ "Honoring Giants". Philadelphia Daily News. October 4, 2010. 1 2 3 "Ken Strong Minor League Statistics". Baseball-Reference.com. Sports Reference LLC. Retrieved October 4, 2017. ↑ "Ken Strong Is To Get $75,000". The Morning Call. July 22, 1933. p. 13 – via Newspapers.com. ↑ "Ken Strong married". Pittsburgh Press. United Press. December 13, 1928. p. 1. ↑ "Ken Strong Weds Long Island Girl". The Brooklyn Daily Eagle. December 13, 1931. p. 2 – via Newspapers.com. ↑ "Ken Strong Is Signed To Coach Giant Kickers". The Bridgeport Post. June 22, 1962. p. 18 – via Newspapers.com. ↑ "Ken Strong dead at 73". Reading Eagle. Pennsylvania. Associated Press. October 6, 1979. p. 30. ↑ Raser, Derek (January 25, 1987). "The late Ken Strong, an NFL pioneer with N.Y., is gone but not forgotten". Los Angeles Times. Retrieved December 21, 2015.